Telecom service provider, Bharti Airtel, led by Sunil Mittal today revealed its network expansion plans in Karnataka state. During FY19, Airtel is planning to add 13,000 new mobile sites along with 4500 kms of optic fibre across the entire Karnataka state. Airtel is planning this network expansion under the company’s Project Leap, which is a network expansion programme. The telco also confirmed that this expansion would also include pre-5G Massive MIMO technology deployment across major business and residential hubs. With pre-5G Massive MIMO technology deployment, Airtel wants to step-up the data experience to its users in Karnataka. This is not the first time Airtel is making use of the pre-5G Massive MIMO technology. Earlier this year, during Indian Premier League 2018, the telco deployed the same across major IPL venues to enhance the data speeds. For the unaware, Massive MIMO expands network capacities by 5-7 times on the same spectrum and delivers faster data speeds despite a large number of concurrent users at the same location. To recall, Airtel had recently deployed the solution at the Chinnaswamy Stadium in Bengaluru during the IPL 2018 matches and also states that it received very good feedback from customers. Right now, Airtel has 29 million customers spread the entire state. Bharti Airtel offers 4G, 3G and 2G data services in the state. At the moment, Airtel 4G is covering 98% of the state’s population. Talking about the announced network deployment, Airtel will enable to add massive high-speed data capacity in the network to serve the explosive surge in data consumption led by increasing smartphone penetration and adoption of digital services. C. Surendran, Chief Executive Officer – Karnataka, Bharti Airtel Ltd, said “Airtel has led the telecom journey in the country with our history of firsts. The revolutionary launch of 4G services for the first time in the state of Karnataka changed mobile internet forever. Today, we are the only service provider to cover the entire state with our 4G network and the only service provider in Karnataka to offer ubiquitous 4G, 3G and 2G services. Our significant investments in network will further boost the coverage and data speeds delivering a superior user experience for our customers”. Late last year, Airtel also launched its VoLTE or Voice over LTE services in Karnataka. Right now, Airtel VoLTE is supported by over 200 smartphones. As mentioned above, Airtel is trusted by over 29 million customers in Karnataka and its network covers over 39,000 towns and villages. 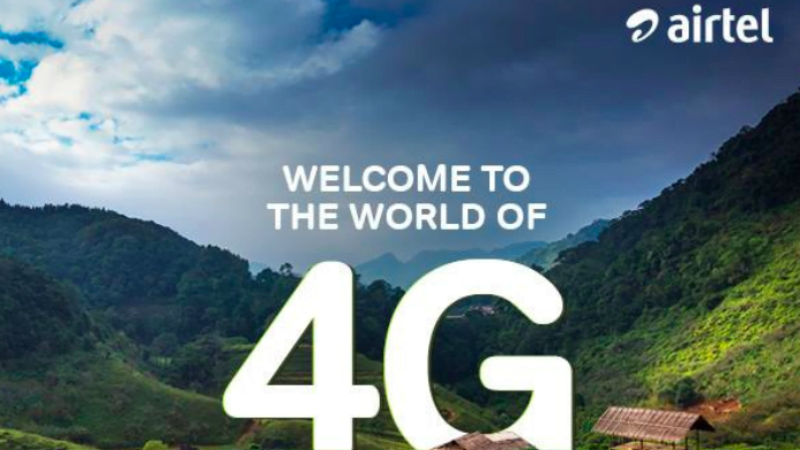 Bharti Airtel was the first telecom service provider to launch 4G services in Karnataka. Back in 2012, Airtel launched 4G in Karnataka on 2300 MHz. Later on, Airtel announced 4G services on 1800 MHz, followed by its VoLTE services in November 2017. To support MIMO technology kahich band they need ? Is any CA also requored? I leave in Bangalore the place called BTM Layout and it’s very near to Airtel office but still facing network issues. I gave complaint in the month of November 2017 but still is lts not resolved and they say it’s in hold because they are trying to update the site past 10months. After reading this I feel like it’s jazz for the name sake to show up in market to attract customers. Even Marathalli is sufferring from network issues. Really stupid network. Jio is same too.. helpless! Vodafone-Idea doesn’t have enough spectrum in Circle? Which operator to choose? LoL. Only high and phones are getting good speeds. Check out the sims in Asus and Nokia.